Take a ride on a cable car. 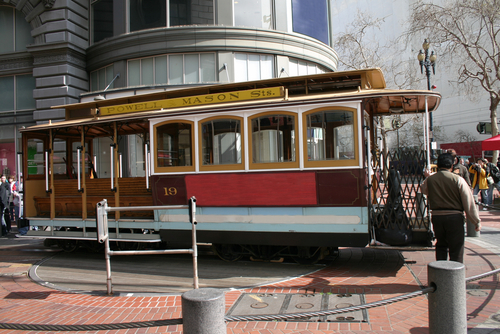 San Francisco is famous around the world for its cable cars, although most San Franciscans don’t ride them often. They can take you over the hills that are the biggest and hardest to climb. The Cable Car Museum in San Francisco, built around the cable cars’ powerhouse, is open to the public. And the cable cars themselves function as a museum you can ride, which is more fun than reading a plaque. Here’s a secret tip: On the corner of Powell and Market Streets, there is usually a long line to board the cable cars at the turnaround. Walk a few blocks to the corner of California and Van Ness where there will hardly be a line. Hold on tight!